In a victory for Pandora(s p), a federal judge recently rebuffed attempts by music publishers to make the internet radio service pay more for streaming songs. The decision means Pandora will stay on nearly equal footing with other radio stations when it comes to paying songwriters, but in the bigger picture it will do little to fix a music royalty system that is buckling badly in the digital age. The decision, which dealt a loss to the American Society of Composers, Authors and Publishers (ASCAP), is likely to reignite a bitter debate over whether digital music services like Pandora are shortchanging musicians — or whether these services are simply a scapegoat for a troubled business model. Such arguments, however, may overlook a bigger problem. Rather than blaming Pandora or the publishers, the biggest problem may be with the U.S. government, which created such an irrational and complicated royalty system in the first place. Here’s an overview of what happened in the Pandora decision, and how the court case is just a symptom of a much larger problem. To understand the latest legal squabble between Pandora and ASCAP, you have to go all the way back to 1941. That’s the year the government imposed a consent decree to ensure that radio and TV stations could easily obtain popular music, and that songwriters and their publishers got paid. The consent decree resulted in two giant middlemen, ASCAP and BMI, acting as collection agents for every big record company in the land — but with the proviso that they could not refuse to license their clients’ songs. Today, the decree, which is amended by the Justice Department from time to time, explains why ASCAP couldn’t simply tell Pandora to get lost, and why there was a court fight in the first place. As Ben Sisario explained in the New York Times last month, the system that has been in place since “Chattanooga Choo Choo” was a hit has been breaking down in the era of digital music. This breakdown is what led Pandora to file a lawsuit against ASCAP in 2012 after the two sides couldn’t agree on a fair market rate for Pandora’s digital song streams. Pandora had been paying 1.85 percent of its annual revenue to compensate songwriters and publishers through ASCAP — and that’s what the company will continue paying through 2015 as a result of the judge’s decision, which came out last week but was under seal until Wednesday. The 1.85 percent figure is a victory for Pandora, even though it had proposed a slightly lower rate of 1.7 percent. ASCAP, by contrast, had asked the judge to impose a future rate of 3 percent. These numbers may look small, but the difference amounts to millions of dollars in royalty payments. The decision (you can read a full breakdown here) should also be read in connection with another major court ruling in December that held that music publishers like Sony(s SNE) can’t withhold only their digital rights from ASCAP while also licensing music to AM/FM and satellite stations. To use ASCAP as a service, Sony and the others have to be all in or all out. Taken together, Pandora’s two court victories — the 1.85 percent ruling and the “all-in” decision — come as a consolation prize for the company after its recent failure to get Congress to pass the “Internet Fairness Act,” which would have made some of the royalty rates for digital music services equal to what AM/FM stations pay. Overall, however, the Pandora rulings are just one small part of a complicated, chaotic payment system that appears to be failing both companies and musicians. ASCAP tried to spin the recent ruling by saying it is “pleased the court recognized the need for Pandora to pay a higher rate than traditional radio stations.” But since Pandora will be paying a rate that is only 0.15 percent higher than the 1.7 percent paid by AM/FM stations, that’s hardly a ringing affirmation. More broadly, though, the ruling raises questions about why digital and traditional radio services should be treated so differently in the first place. Take a closer look at music industry royalty rules, and you’ll quickly discover that they make the federal tax code look downright simple in comparison. Under the current royalty system, for instance, AM/FM radio stations have to pay nothing to performers, only to songwriters. By contrast, newer services like satellite and online radio do have to pay performer rights — but under completely different formulas. The result is that Sirius/XM pays out around eight percent of its revenue for royalties, while Pandora reportedly pays out around 60 percent. 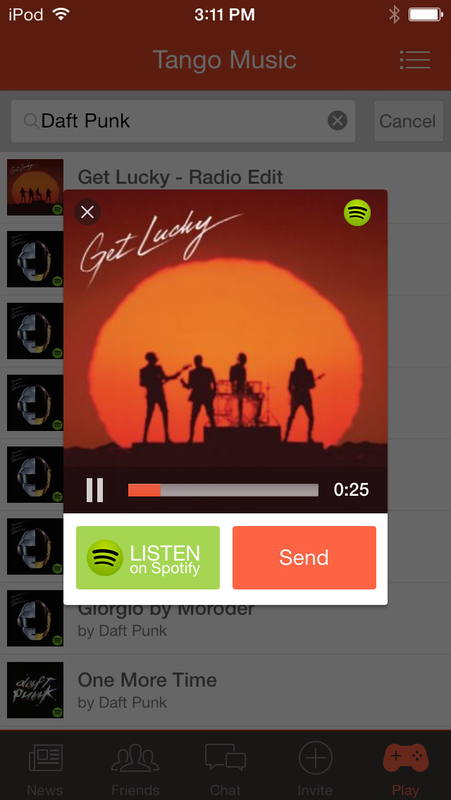 For so-called “interactive” services like Spotify and buzzy newcomer Beats Music, rules for royalties are different yet again and so are their opportunities to access songs. The answer to some of the frustrations, then, might not be to demand more money from the likes of Pandora, but to reconsider how to better divide what digital companies pay already. There’s no doubt that it’s tough days for musicians — even for the famous ones: witness David Carr’s sad account of Lady Gaga’s Doritos-driven performance at the SXSW Music Festival. The situation is even worse for indie artists who for decades could at least hope that a record deal, and rich royalties from album sales, might deliver them from their day jobs. Today, those record deals have all but vanished, representing a gaping hole in the economics of the music industry. That gaping hole, however, isn’t one that can be plugged by further squeezing companies like Pandora, which is already paying out so much in royalties that the company is not making any money in the first place. And even if the musicians could grab every last cent from Pandora and Spotify, that still won’t replace the missing money from the decline of CD sales. That won’t stop ASCAP and music companies from trying anyway. Instead of exploring new business models that might provide a more direct revenue channel between musicians and their fans, the music industry’s collection agents are likely to remain fixated on squeezing digital music services — an effort that could just stunt or kill them instead. Ironically, as an insightful piece on Re/code suggests, the best bet in the long run may be to lower the royalty rates and broaden the customer base. In a sign that the existing order may budge, the Copyright Office has announced a study to “to evaluate the effectiveness of existing methods of licensing music.” This could provide a rare opportunity to rewrite rules from the bottom up in a way that helps both musicians and new music technologies, and replaces the current cat’s cradle of royalty rules with something simple and consistent. But for this to happen, it will require Congress to muster the political will to force royalty societies and record companies to accept bold changes. In response to comments below, this article was updated on March 23 to refer to music companies rather than record labels. Some of us have been pointing out for 10 years that there is only one logical way to handle any fungible digital commodity, and that all other methods are doomed to failure, because they are fraught with economic unreality (as with Pandora, here). Unless the content industries and the tech companies cooperate in setting up a Digital Content Exchange, this will continue for another 10 years. “Fix this mess”, yes. But dont fix it congressional-style-piecemeal (not usually a fix anyway, just a kicking the can down the road). Fix the root problem. Personally, I hate Pandora and I especially hate Clear Channel. I will continue to find my music on college and non-profit radio stations. Radio here in the US? Clear Channel owned. Pandora? Same music, over and over and over, no variety. I <3 radio? Clear Channel. Plug.dj is fun, Turntable fm was fun. Spotify? meh. Sara .. I largely agree with that list of likes and dislikes. I loved Turntable.fm … for a while. and love the whole concept especially. Plug.DJ … could be even better than turntable.FM … because it has video … it’s just that I can’t find any rooms for the geezer-snob demographic. It’s mostly people my kids age DJing EDM. Sadly, it’s never going to happen. For example, terrestrial radio execs would lynch congress for even slightly suggesting that they pay royalties for public performance of recordings (if that’s not even a solution.. ). Content creators have the option to make their works (or copyrights) available under different distribution & royalty schemes. It has been done before with the Creative Commons. Pandora is big enough to propose something; so is YouTube and Soundcloud. The role of congress is to ensure that content owners have choice to (concurrently) license under different models. I am only going to say this because you seem active in answering your reader’s questions; it seems like most the insights in your article are only clear in the hyperlinked references strung together between industry truisms and cliches. It is difficult to understand and follow when each link takes you to a different page, format, and pop-up ads. For such a complicated (and interesting) topic it would be useful to include more details. The times pull-quote, however, was very helpful. You seem to be a good and organized writer. You shouldn’t rely on other articles to carry the weight of your argumentation. Then again this just might be a future style of journalism. Thanks for your suggestions and kind words, DMStone. My goal here was to provide a basic overview of an incredibly complicated topic, and that’s why the article relies heavily on links to other sources — it feels like the only way to show the piece is rooted in research, while also keeping it to a reasonable length. The best pieces on music royalties are much longer and are written by entertainment lawyers or scholars; however, they are unapproachable for any reader who is not already well-versed in the topic. Hence, the hybrid approach I offer here — which may offer an unsatisfying lack of detail, but may also be the best way to expand the conversation. Gee, you do not seem to understand the basics of what you are writing about. ASCAP and BMI do not act for record companies. The distinction between the recordings (usually owned by record companies) and the underlying musical compositions (usually owned by composers) is a pretty fundamental issue in trying to understand this complex area. If you do not know the difference yourself, you should not be trying to describe it to others, let alone making broad proclamations about future policy. Ray, please see my other comments in this thread. I do understand the legal distinction between record companies and publishers but, for practical purposes, they are often the same corporate entity. I would also argue that the current complexity of the royalty system is part of the problem — a more streamlined system would make it easier for everyone, including consumers and musicians to understand, and broaden the conversation about how to pay for music. Will all due respect, I could not disagree with you more. The old music industry may have had a lot wrong with it, but at least it was clear how everyone in the food chain â€” the artist, record label, music distributor and physical retail stores â€” could stay in business. The music had to be created, recorded, manufactured, distributed into stores andâ€¦ SOLD. Not so in the new music industry. Now it is only the artist who must sell their music in order to â€œstay in business.â€ And artists are fending for themselves against a tidal wave in a sea of technology companies and venture capitalists. All sectors of the music industry are no longer being run by people from the music industry. This glaring misalignment does not bode well for the future of music. As one example, look at Pandora: its shareholders made a fortune when the company went public, despite it making little to no profit. It was able to IPO off the artistsâ€™ music despite the music not ever needing to be played, nor paying themusic creators a royalty they deem reasonable. The true way to allow for a thriving new emerging music industy business model is to force the new music services to create a service of such true value to both artists, songwriters, labels, publishers and consumers that they all CHOOSE to opt in. By removing the compulsory license, its forces music services to have to create something of true value. If they don’t, the services go out of business (just as music they does not cause reaction does not generate revenue). And before anyone complains that its just “too much work” to have to license rights from artists, I did it with TuneCore. Certainly you can’t be afraid of allowing true greatness to emerge in the new music industry. Let the new services work to create something of value. Its not going to be easy, it never is. But what will emerge will be healthier and stronger than any other model you could put together – including one where take away copyright holders right to say “no” and pay them royalties they find inconsistent with the value they provide. As for the “right to say no,” I’m not sure that lifting compulsory licenses would inspire more creativity — especially as more licensing layers also equals more transaction costs. I also think it would be easier to make such arguments if copyright terms weren’t so absurdly long; can you really defend the copyright in Happy Birthday? The music streaming pie is not big enough. Instead of fighting over crumbs, bake a new pie! In the digital age advert and subscription supported music streaming is a replacement for Radio in the ‘good old days’. It is unrealistic to expect the revenue from these services to support the recorded music industry. We must all know that what is needed is a new viable complementary high value digital music distribution system that coexists with and is enhanced by these streaming services. Itâ€™s a matter of economics. At the core of the woes of the recorded music industry is that a digital object which can be perfectly copied ad infinitum can have no value. The die was cast when Sony & Philips launched the CD in 1982. And Mooreâ€™s Law charted the course of digital music. Thirty years on, the music artists and the recorded music industry have to first recognize that recorded digital music has to be distributed at discrete levels based on analog bandwidth. This multi-segmented distribution system may have as many five levels starting with mono AM Quality up through to Master Quality level. The bright side of this is that in the digital domain each copy at each level can be made digitally unique to underpin an economic framework. Needless to say that the big challenge will be finding a bullet-proof scheme against digital copy which is at the same time frictionless and convenient for the consumer. At first sight this appears near intractable because as it stands the audio signal chain can be interrupted and copied at any stage in the pipeline by digital probing at the circuit board level or high resolution A/D conversion of high quality player analog outputs. And until full end-to-end encryption, buried deep in the transducers, becomes available, this problem will remain substantially intractable. I believe that this is not that hard. Take a leaf from the software industryâ€™s playbook. Rather than relying entirely on antiquated copyright law, the purveyors of software build and adapt their distribution systems to achieve their own objectives which they underpin using EULAs. With help from true friends in the technology sector the creative music community has to do this. Such a schema can co-exist with subscription â€˜radio likeâ€™ models which can enhance each other as they have done in the past. The creative music community will need to take the lead and mold this initiative because at the end of the day the old fashioned CE companies practice the adage that â€˜the purpose of (music) software is to sell hardwareâ€™ and now they will find that the new fashion Cloud companies believe that â€˜the purpose of (music) software is to sell eyeballs and subscriptions â€™. In some ways you are right; but some of your suggestions may actually just make the issue even more complicated. I think any multi-segmented distribution system is simply going to be circumvented at the consumer level anyway. Unless you can physically stop someone from placing microphones next to speakers there will always be a way to copy what someone is listening to. What we need is a simpler more transparent system. Many people like to pretend they didn’t see this coming; but really you just have a lot of performers and song writers who have been systematically abused by record companies and publishers for decades. The digital age has simply made it easier for everyone to see these abuses. These aren’t really new problems, they are old problems embedded in the music industry on a much larger scale and with a big magnifying glass pointed at them now. Vincent, I am reliably informed by my expert friends in electro acoustics and audio recording that the argument that microphones can, in the circumstances you describe, still be used to make high resolution copies is bogus and easier said than done. But I definitely agree that services that do pay both songwriters and performers can’t be expected to make up for revenues lost from the displacement of yesterday’s higher margin transactions. Neither should artists be expected to subsidize business models that only work for those operating at considerable scale. We should get to a place where we can agree on a basic concept that those who use commercial music should pay for that use. Close the terrestrial loophole. Then we can talk about harmonizing rate setting standards, but not in some arbitrary way that fails to account for the impact on artists. Lastly, we should consider enshrining creator splits on both halves of the musical copyright (recording artist and songwriter) so that there is transparent, direct and equitable compensation for creators regardless of the licensing mechanism. I appreciate there is a distinction between non-interactive (Pandora) and interactive (Spotify), and that the latter is not compulsory and also requires mechanical rights payments, but the larger point is the same — we can’t expect these new digital services (for now) to make for all the lost CD sale revenue. Overall, though, thanks for the helpful exposition and suggestions. Agreed that ending the terrestrial loophole and harmonizing rates would help. I also wonder if the government — or the music industry or Apple/Google — might be able to help smaller artists by creating a more efficient online licensing and payment service? Or maybe a standardized tipping/payment app, like the Starbucks just introduced, for buskers and bar bands.. There is a compulsory license in the US for Spotify for the composition, there is not one for the sound recording. Whereas with Pandora, there is a compulsory license for the sound recording but not for the composition (sort of). But the lack of compulsory license for the composition for public performance for Pandora is negated by the consent decree forcing BMI/ASCAP to have to enter into a license and is further negated by the CRB overseeing the rate (particularly with the recent ruling). Or do we live in a country where artists have little to no rights except to fuel business models of tech companies at their expense? Some would advocate for a compulsory license for on-demand streaming, but the majors would never go for it. For artists it might make sense because you could have the splits enumerated in statute, so they’d get paid directly instead of according to contract and recoupables. This is how it works for online and satellite under the digital public performance right. Indie labels might like it to some extent, because it allows them to receive the same rate, regardless of market share. But legislative change here is highly unlikely. So, if we narrow our focus to “radio,” we still need to be mindful of the differences between the composition copyright and the sound recording copyright, because that’s where the disparity comes from–which was the point of your piece. This article is hard to take seriously because not once, but several times the author states that the PROs under the consent decrees (ASCAP, BMI) collect for the labels. They do not. They collect for publishers and songwriters. Also, IRFA aimed to place the rates for the master use (sound recording, NOT publishing) webcasting under the same standard as satellite radio. AM/FM radio is not legally obliged to lay performers and labels anything, even though the rest of the developed world does (and we signed treaties with this obligation). Thanks for your comment, Casey. See my response to Alexander, above, who raised the same point. Overall, though, I’m not sure it’s fair to be so dismissive of the article — you don’t address the underlying point: that asking Pandora and Spotify to make up for the entirety of a shrinking pie is not practical, and that the historic system for collecting and paying out royalties has become irrational and unfair. I’m curious what changes you would propose. Perhaps asking AM/FM stations to pay performance rights? I dont agree with your charecterization. What is being asked is for entities that want to take someone else property and use it to make money to have to pay for it at wage that is deemed fair by the creator. Pandora does not provide me that right. It takes what is mine (my recording) regardless if I want them to and pays me a wage I have no say in. It’s not a “characterization” — it’s a fact! It’s U.S. law. You may want it to be another way, great. But until you manage to change copyright law (and maybe the Constitution), these are the rules of the game. I don’t agree with YOUR characterization. I don’t believe that when someone creates and PUBLISHES a creative work, they “own” it in the way someone who creates a material good does. And the framers of the Constitution, I think, would agree, as that document established limited rights for the creator to be regulated by Congress. 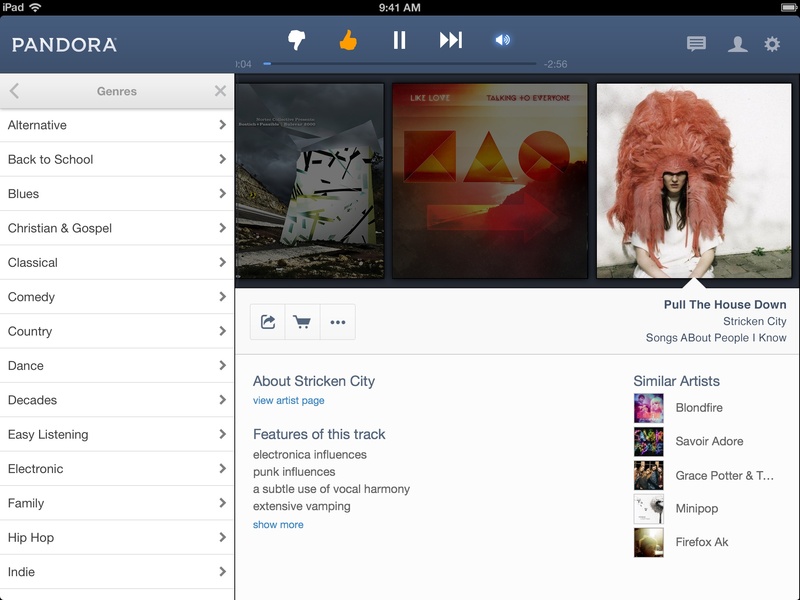 If you don’t want Pandora to play your song, don’t publish it. Why should Pandora pay more? Radio is dead Most people I know stream with Pandora or some other service. What is great about stream services is you can hear stuff that normally you would not. I love blues but I never hear B.B. King or Buddy Guy, John Mayer etc on the Radio. Radio is dead? Then how does it still reach 92% of the population every week? And why do local musicians (who can easily put themselves online) get so excited when I play their songs on my radio station? I’m 50 and I don’t know anyone who listens to radio anymore. At least no one in Southern California. I gave up on it years ago. It is un-listenable. The content is lame. And the ads are excessive. Anyone who has access to streaming internet radio, or podcasts (which is everyone I know in my personal life) uses those instead. I don’t know who those 92% are. I like to think that I’m pretty normal, yet I can’t think of anyone, ranging from my teenage nephews and nieces, to my 70+ year old mom who bothers trying to listen to radio station. 90% of Americans listen to radio every week. Even the people you know. What a ridiculous comment. I am a music producer, I listen to radio every day as I drive to work. My kids demand that I put on top40 radio when in the car with me. Good old fashioned radio still rains king from my perspective. They have systematicaly brainwashed my 13 and 10 year old daughters into listening to Lady Gaga, One Direction, Shakira, etc. Radio is alive and kicking. aaaand users are on Spotify now. VERY happy to see that your article had little to do with your title, because Pandora is in no way at fault here. In fact, it seems that just about everyone EXCEPT Pandora shares the blames for this mess! But that title … really? Intentionally inflammatory you-knew-it-was an-untruth? Thanks for the comment, Alexander. I make clear at the outset of the article that ASCAP represents songwriters and music publishers — music publishers like Sony, which is also a record label and a music company (that’s why I initially elided the terms in a couple cases above). I have since amended the article to specify publishers where appropriate. Great article on this unholy mess. A few things you didn’t mention are the fact that performers have different revenue channels through merchandising themselves. You ever see someone wearing a Bernie Taupin or Johnta Austin T-shirt? Didn’t think so. Also, BMI and ASCAP have a notorious record of passing along royalties to smaller artists because of poor records and contact management. Finally, it should be pointed out that these arguments always try to put a face on the problem, but the truth is a very large portion of the music out there is owned by companies (labels, agencies, etc.) rather than the creators, so while there is a still a problem, don’t think any fixes are going to significantly increase the flow of money to individuals in many cases.